Writing fireworks poems with alliteration and onomatopoeia. 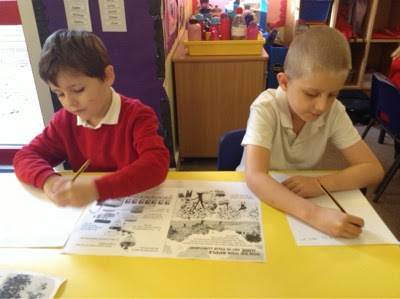 Creating fact files about the Great Fire of London. Exploring icy vocabulary and descriptive vocabulary. 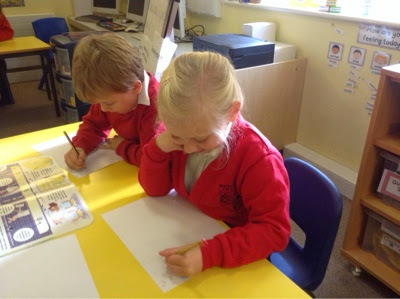 Planning, creating and writing 'Snowball Stories' ready to perform to others. 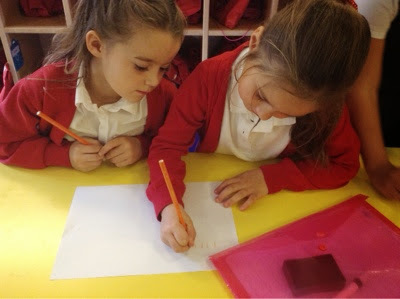 Continuing our weekly one hour Letters and Sounds group work as well as shorter sessions in class. 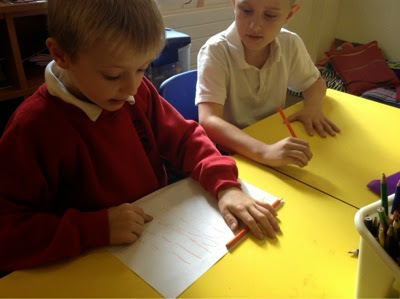 Taking part in guided reading activities. Finding out about simple fractions and how to write them. Beginning to learn that division is 'sharing'. Measuring accurately with a centimetre ruler. Finding out about coin values and how to use money. Continuing to practice addition and subtraction. Exploring how materials can change with heat and cold. Finding out about different states. 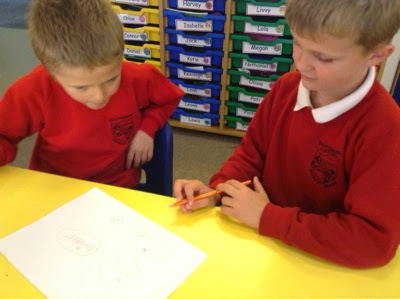 Designing our own tea light holders. Listening to and responding to music. Composing and preparing our own icy soundscapes. Practising singing together for our festive performance. Finding out all about the Great Fire of London, why it was significant and what impact it has had on our lives today. 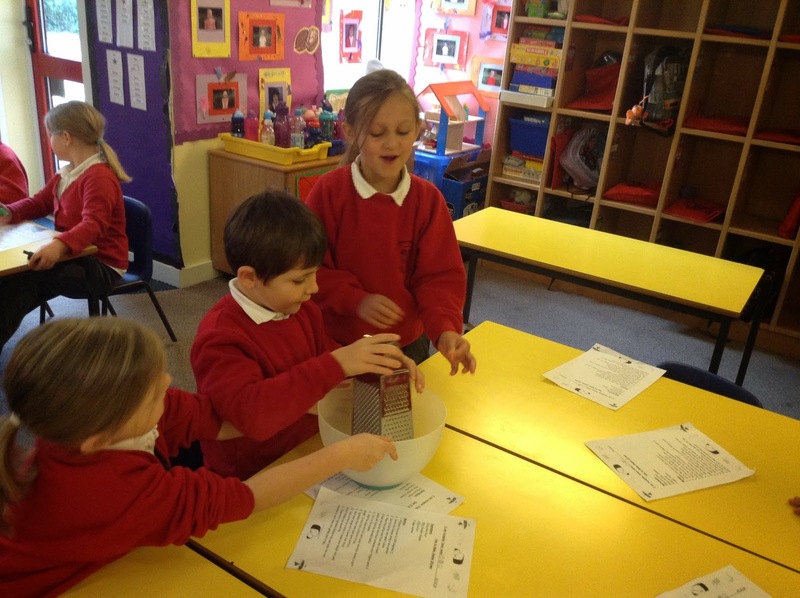 We will be finding out about what it is like in polar regions. Having basketball coaching from a professional coach every Tuesday afternoon - please bring warm outdoor PE clothes. · Thinking about why God gave Jesus to the world. · Looking at Bible stories about love. · Telling the Christmas story. We will be practising our keyboard skills with a wide range of activities as well as reinforcing our work about keeping safe online. · Learning about fire safety with a visit from the fire service. · Thinking about how our behaviour can affect others. 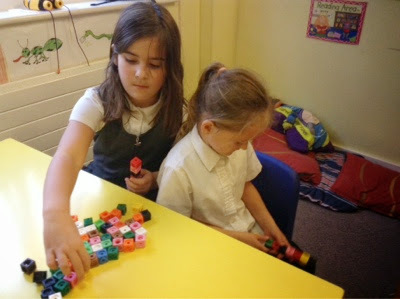 We had a Maths challenge in Year 2 this afternoon. 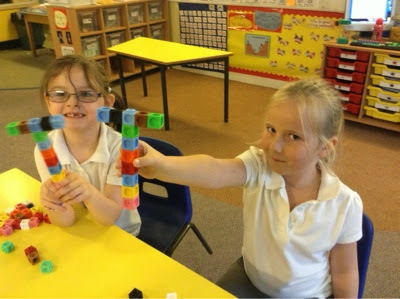 First we had to build a tower using coloured cubes. 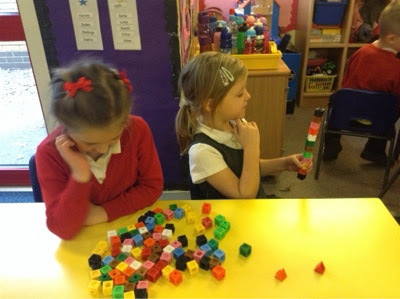 Then, without showing our partner, we had to give them instructions of how to build a tower that would be exactly the same! Can you remember the position words that you used? Were your models exactly the same? 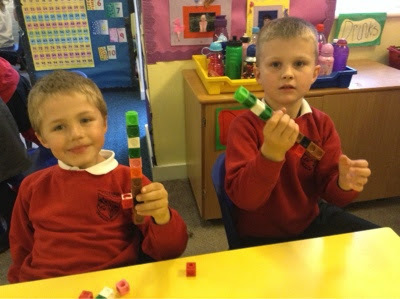 You could try this challenge at home using Lego or beads. 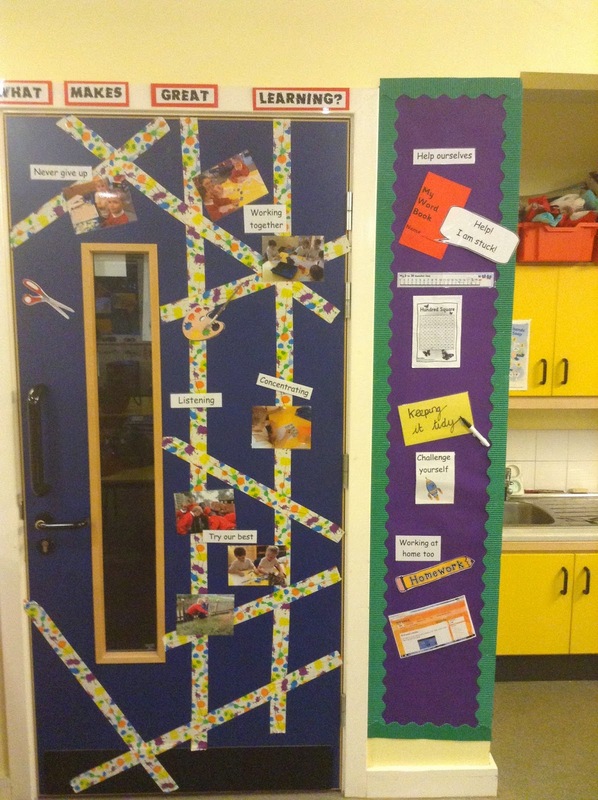 We have been thinking about the journey that food makes before it gets to the shops and then onto our plates! 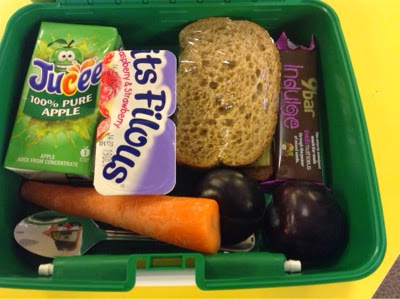 Mrs Tatman shared what was in her lunchbox today, and we talked about where the different foods started out. 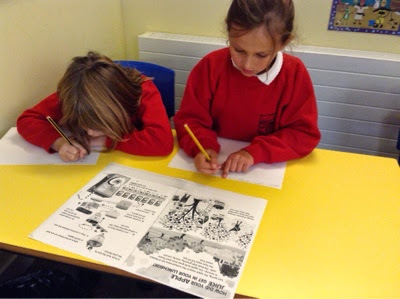 Then we explored some information about the journey of lots of food types. Can you remember which animal helps to make the yoghurt? What is the main ingredient in bread? How does it get from the fields to Mrs Tatman's cheese sandwich? We have made notes that will help us wih our work tomorrow. We looked carefully at all the different fruit we had been weighing the morning to paint still life in the style of Paul Cezanne. We even carefully balanced all the fruit we had been painting to weigh it - 3.8kg. Well predicted Eve! 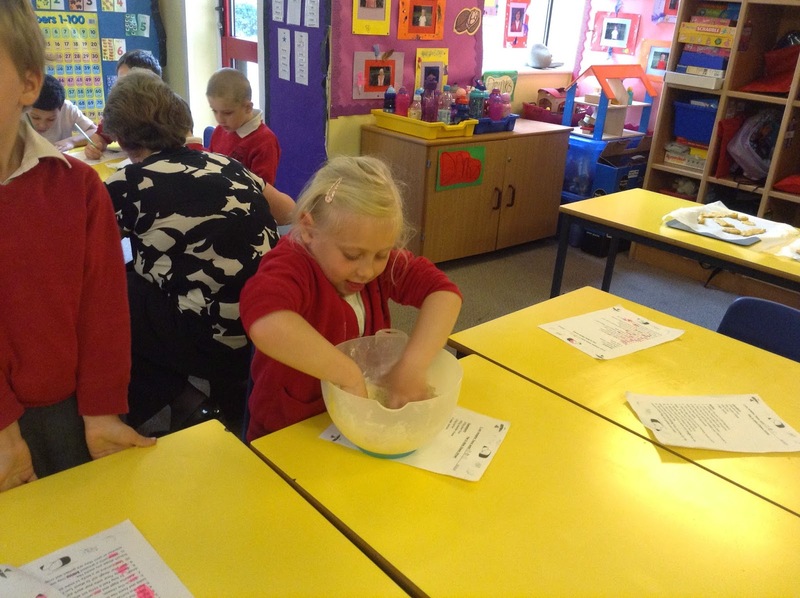 Ash class had a very productive morning cooking delicious pizzas! 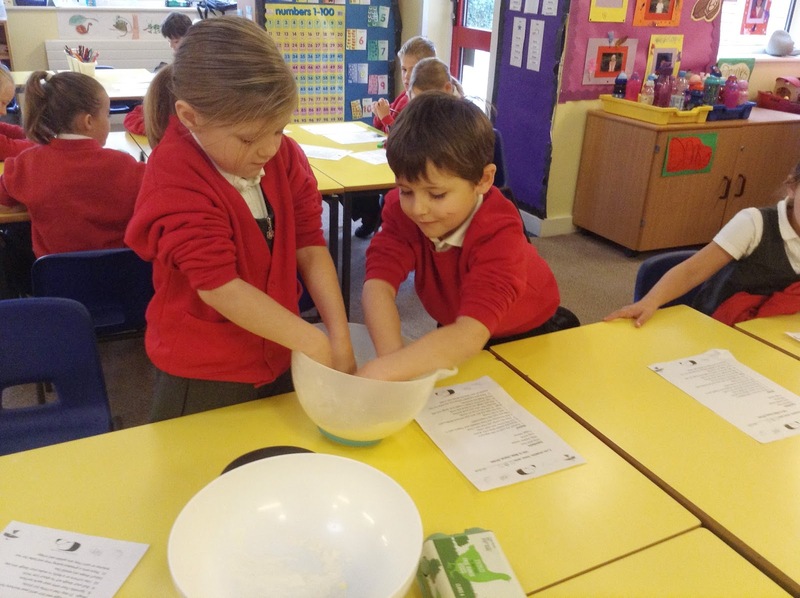 We weighed the different ingredients with some of the pizzas weighing as much as 150g with pineapple being the best ingredient to add some weight to the pizzas. The mushrooms were much too light! You wrote excellent instructions on how to make a pizza and spent time looking at many recipe books hunting for the important bossy words like GRATE, CHOP, PUT. However many of you also looked for adverbs like GENTLY and CAREFULLY. See if you can look in your cookery books at home for some of these words too. We finished off the morning with a memory game -- well done to those of you who managed to remember all 8 ingredients of the pizza and tell them to the class in the right order -- very clever! Why don't you try this game out at home too? Year 2's Magical (Musical) Mystery Tour! 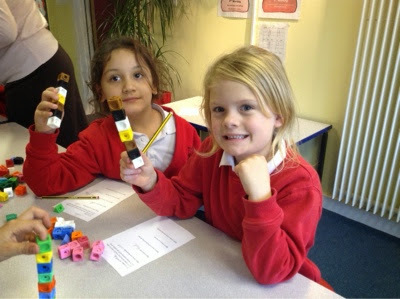 The teachers have been raiding their cupboards this week for us to find out about weights. Which of these do you think is heaviest? Are the biggest things always the heaviest? Can you spot how heavy these items are? 2. 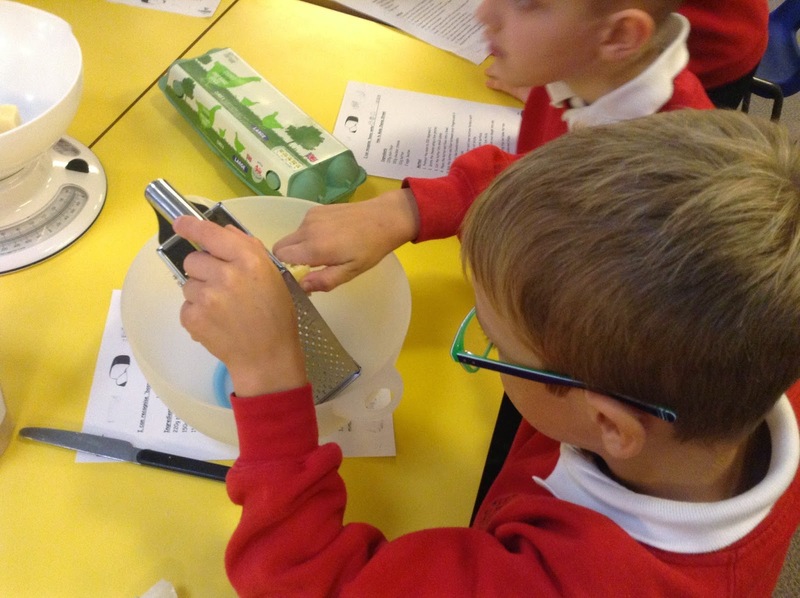 Grate the cheese using a box grater. 3. Cut the butter into small cubes. 4. Place the butter and flour into a bowl. 5. Rub the butter and flour between your fingers until it looks and feels like breadcrumbs. 6. Stir in the cheese. 7. Add the eggs and stir until your mixture forms a soft dough. It may feel a little bit sticky. 8. Sprinkle flour onto your work surface. 9. Roll your dough out to about 1cm thick. 10. 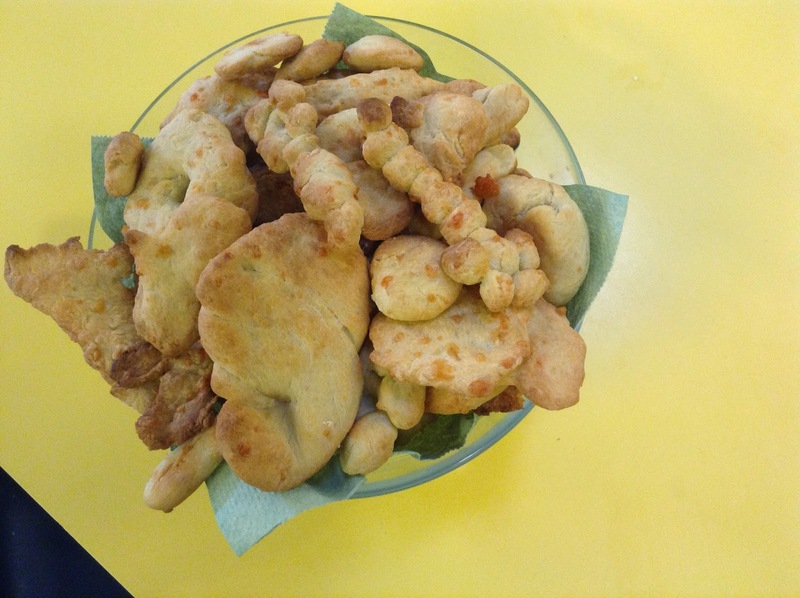 Use cutters or a knife to make your dough into any biscuit shape you would like. 11. Place onto a greased baking tray and bake for ten minutes or until they are golden and crispy. Inspired by Izzy who was born in Germany, we will be learning some German next half term. To start us off, we have set you some challenges. How many of the German colour words can you remember? Here is a video of the numbers to ten. Can you challenge yourself to remember them? Lots of housepoints available to anyone who can meet either or both of these challenges! 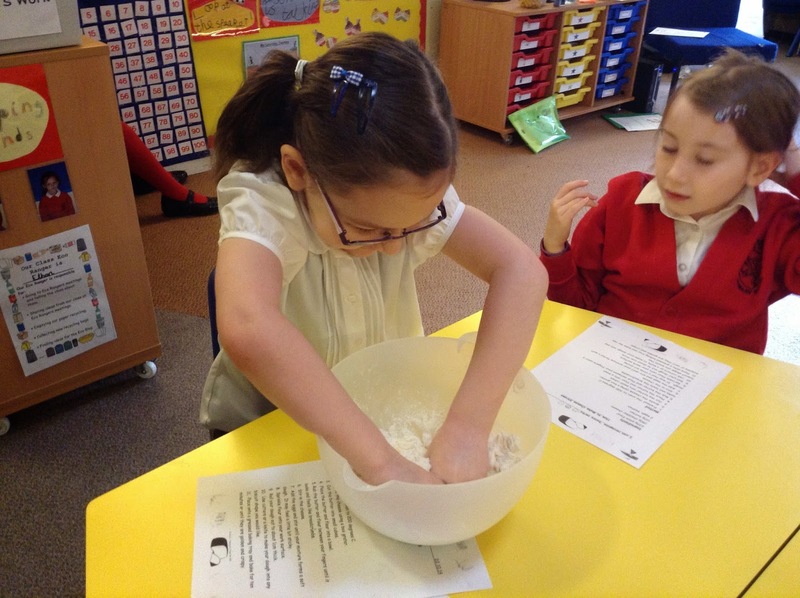 We will be cooking pizzas in Ash class on Wednesday! 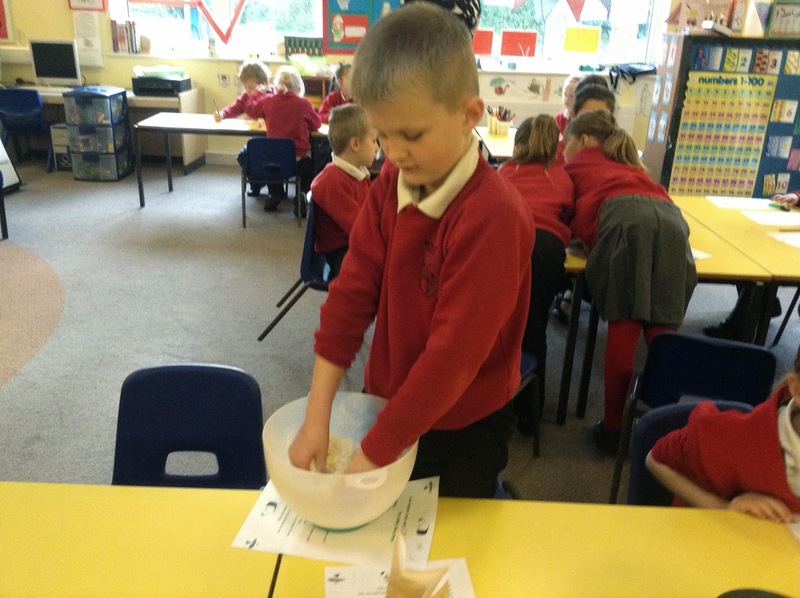 This will involve weighing for your maths, instruction writing for your literacy, thinking about where all the ingredients came from in our science topic and then to top it all off we will learn to sing the French Pizza Song! I wonder how much our pizzas will weigh? I really hope we don't drop them all on the floor which is what happens in the song . . .
By popular request -- here they are! Enjoy going over what we have said in class and remember the maths that goes with some of the numbers. 90 = 80 + 10 so in french it is: quatre vingt dix. 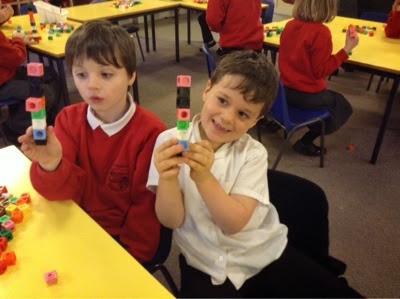 In Ash Class we now have a new friend from France called Dimoitou. He is a little hippo and we have had fun asking him"Ou Vas Tu?" which means "where are you going?" 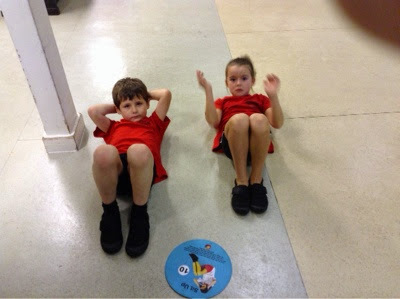 We are also practising to say "Ca Va?" for "How are you?" and replying "Ca va bien merci", or "Ca va mal" while pulling a sad face and "Comme ci comme ca" for OK.
Pictures of Dimoitou meeting Ash class to follow. 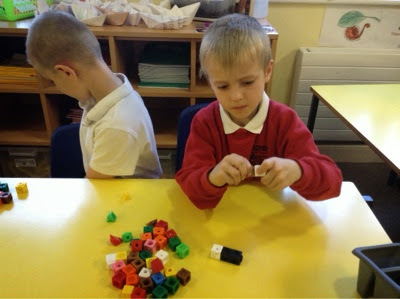 We are trying to find him a cosy place to live in the class too and have plans to make him a cosy house. You will be able to follow the adventures of Dimoitou on our languages tab shortly, as soon as Mrs Peterson has worked out how to do this! 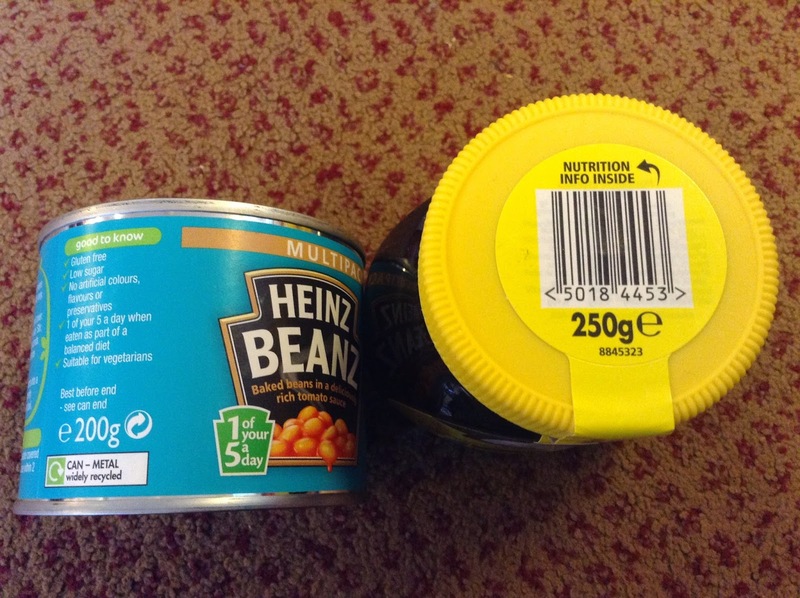 How much does your supper weigh? 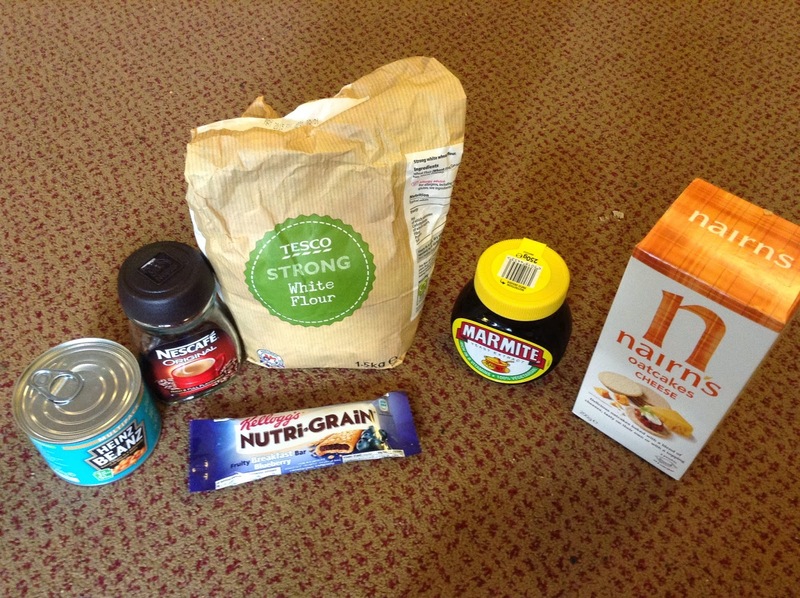 In Ash Class we are thinking about the weight of the food all around us this week. As you eat your supper tonight -- have a think about how much your supper may weigh as you tuck in. Maybe you can help weigh out a recipe for your family to eat this week. TOP TIPS: Remember to weigh in kilograms or grams and make sure your weighing scale is pointing at zero before you start. Cezanne and still life painting. We have looked at Seurat and his pointillist style earlier in the term. We will look at the French painter Paul Cezanne and his way of painting still life food pictures. Will you be able to do any better? Could you arrange your fruit at home like this? How much do you think this fruit weighs? Watch The Elephant Song and have a look at all the MASS words we will be using next week. Do you know what they all mean? Today's episode of Numtums on Cbeebies was all about ways of making ten, (Mrs Turner's own children were watching it)! Have a watch of it here if you get chance and see if you can remember all of the different ways. Numtums - Find That Flamingo! 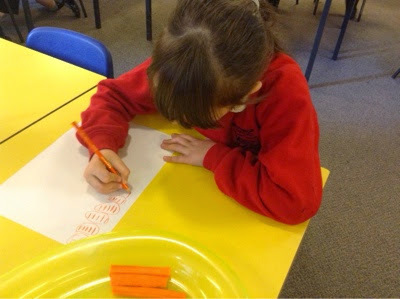 Mrs Tatman's friend needed a bit of advice about how to sort some carrot sticks out for her class. 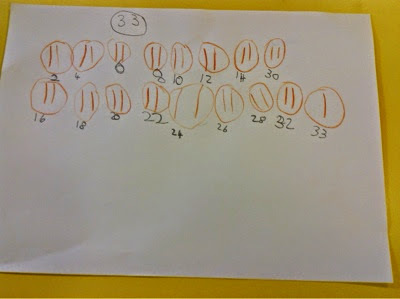 There are 33 children and she wanted a speedy way of counting to check if she had the right amount. 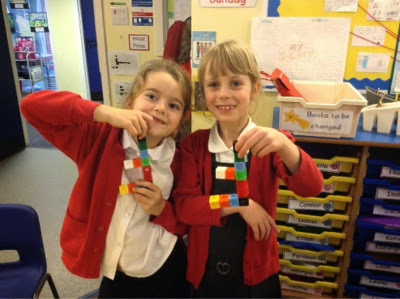 We worked with a partner to try and think of a great way to help her! 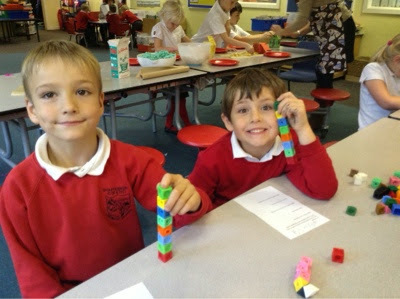 Mrs Tatman was amazed at what we came up with. Some of us counted in 2s and 10s. 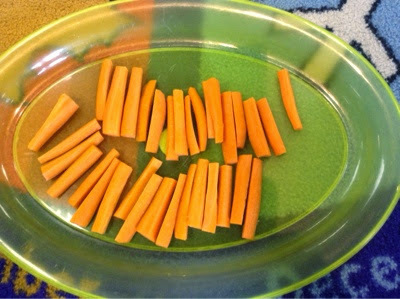 Some grouped their carrots in 3s or 5s. 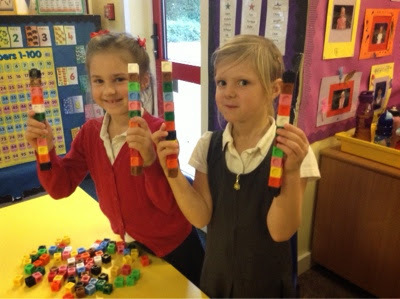 It was great that we has so many ideas for her friend to choose from! 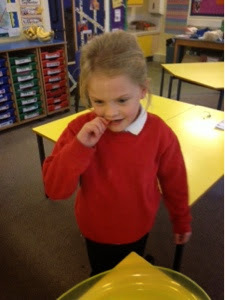 The best bit was that we could eat the carrots when we had finished our challenge! We have been talking a lot about this in Year 2. Tell your grown ups all the different ways that you can 'be the best that you can be'. 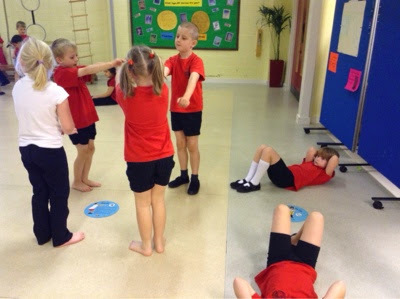 To link with our work on Time this week, during PE we explored how many times we could do a range of activities in one minute. Each workstation was a different exercise. 60 seconds seemed like a long time! How many Star Jumps can you do in a minute? Mrs Tatman couldn't do very many this morning! 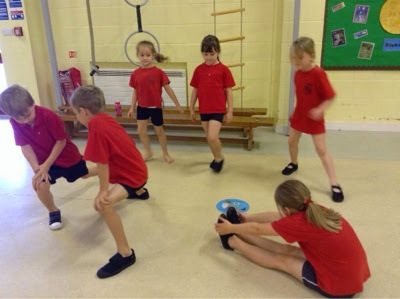 Some children in Ash Class managed more than 100 jumps in a minute! 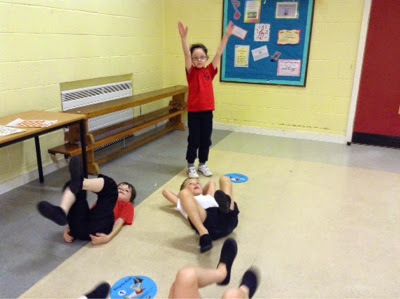 Mrs Cundick who is super fit managed 89 in a minute. 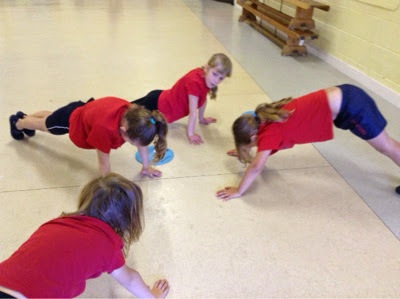 We have kept a record of our jumps and will test our fitness again at the end of the term. Keep practising at home so you can beat your record! Getting Messy With Eton Mess! Ash Class Navy and boat building . . .